On 10th Nov, 2012, the Minister of Higher Education visited Southern College and officially announced to the Chinese community nation-wide that the nation’s first non-profiteering College, Southern College, was successfully awarded the status of Southern University College. It fulfills the dreams of the Chinese community to have its own University. This news jubilated the whole nation! The official formation of Southern University College marks an important turning point in the Chinese Education development-----from Primary Schools to Secondary Schools and now to University. A complete cycle of education comes into being! For years, the Chinese community has been supporting Chinese Education to promote Chinese traditional Culture through the spirit of self-Renewal and struggle for survival in adversities. Many social talents have been nurtured. This clearly shows that for 200 years or more, the Chinese community has worked so hard, so self-reliant and done so many selfless contributions! This has won wide acclaim from many quarters. Being the nation’s first Chinese community-based non-profiteering University, Southern University College shoulders great responsibilities. The Board of Directors sets up a Southern University College Education Fund Raising Campaign. The first-phase target is RM30 million. It will be used to install new and advanced teaching equipment, to hire more senior teaching staff in order to raise the academic standards. Furthermore, due to the increase in both local and overseas students, it is imperative for us to build a new venue for this purpose. This building which is 10-storey high is named International Education Gratitude Building which can accommodate 500 students. Other facilities in the new Building include: many large-scale auditoriums, offices, research centres, shops, cafes and multipurpose student activity centres. 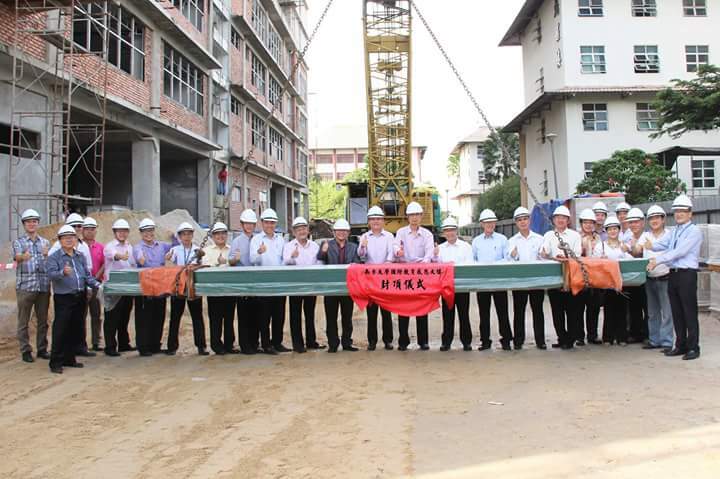 The construction cost of this International Education Gratitude Building is RM1.5 million. As widely known, every educational institution has its own uniqueness. Our uniqueness is that the graduates we nurture will be of high quality, with firm foundation of knowledge, and positive attitudes to serve the community. And thence win the recognition of the society. Most importantly, on one hand we promote state-of-the-arts knowledge and skills; and yet on the other, we proudly sustain our traditional values. We are sure this is the wish of the Chinese community and Southern University College staff.